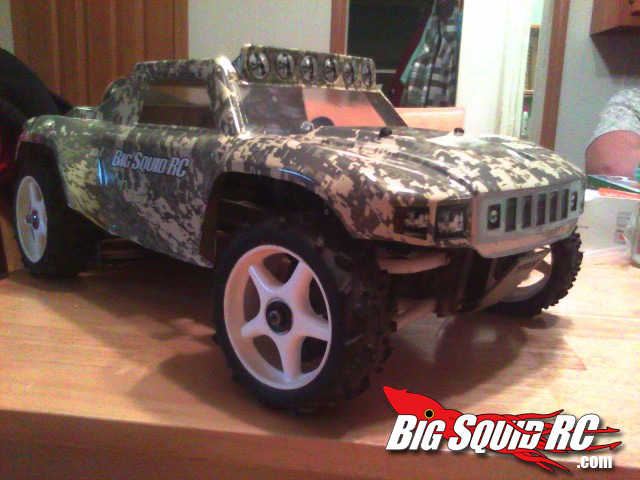 CPC Powdercoating Hydrodipped Body « Big Squid RC – RC Car and Truck News, Reviews, Videos, and More! Alright so a few months ago I was talking to Dave over at CPC PowderCoating and he told me about a new way to put designs and patterns onto objects, I instantly thought of a lexan body and within a couple of days I had one ready to be dipped. Before I tell you about how it turned out first let me tell you what hydrodipping is. Hydrodipping uses water to push an image onto an object. 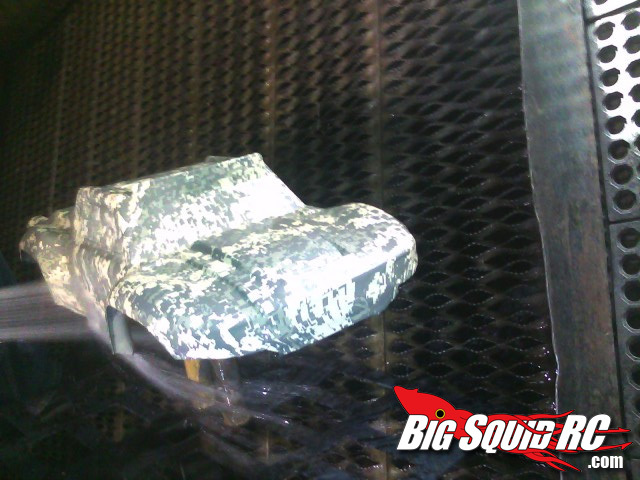 So first they take the object that is going to be dipped and they apply a base coat then, it is atatched to an arm on the hydrodipping machine and held over a tank of water. After the object is ready to be dipped a thin film is layed out on the surface of the water and sprayed with an activator that makes the film bond to the object. Then the arm lowers the object down into the water through the film and the water pushes the film into every crack and crevise on the item. 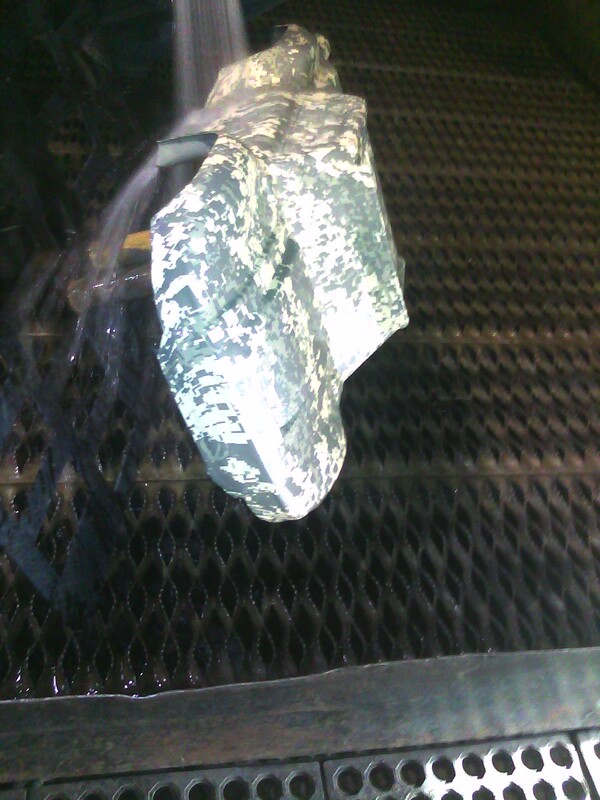 After its removed from the water it’s cleaned to remove any excess film and then clear coated. 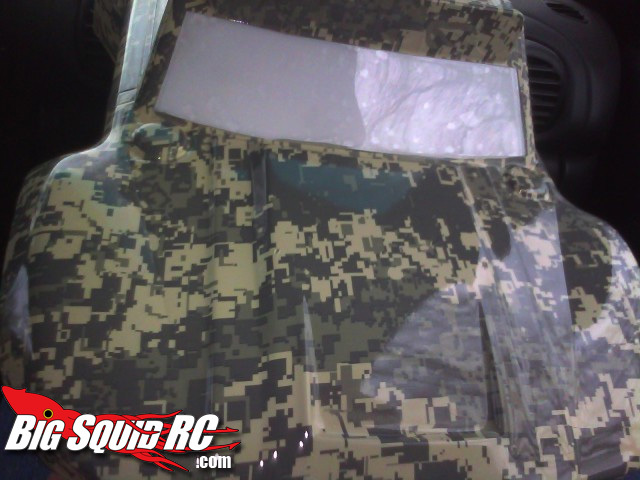 The only bad thing about hydrodipping is that it can only be applied on the outside of the body so I’m not sure if it will take a lot of abuse but it certainly looks awesome! The price is cheap too it only costs about $35 but will vary on the size of the body. Check out the pics and video of my body getting hydrodipped. I’d also like to put out a special thanks out to Dave at CPC Powdercoating for making it happen.